The story of Sherlock Holmes has been revised and rewritten and re-adapted so many times but now we get to see him in another form: He is a puppet. NHK’s new TV series follows Sherlock Holmes and Dr Watson in a London Boarding school. Adapted by playwright and director Koki Mitani, this series follows the teenage Sherlock Holmes and John Watson in Sherlock Gakuen. The plot follows John Watson as he moves schools from his school in Australia to the prestigious Beaton School in the London Suburbs. He is assigned to dorm 221B with the well known ‘problem child’ Sherlock Holmes. Watson soon finds that Sherlock possesses amazing insight and observational skills that rival none he’s ever seen before. They soon find themselves with a bizzare incident that occurs in the school and team up to solve the case in the only way Sherlock Holmes and John Watson can. 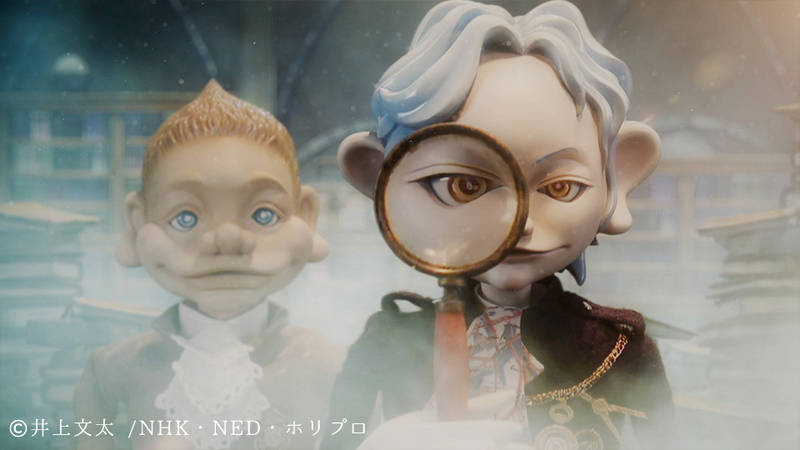 The director of this piece, Koki Mitani, has worked on puppet dramas before, his previous work was Renzoku Ningyo Katsugeki: Shin Sanjushi (Action Series Puppets: New Three Musketeers) for NHK in 2009. According to PuppetVision, the design of the puppetry was done by painter Bunta Inoue, who also designed the puppets for Shin Sanjushi. Sherlock Gakuen is set to begin running in October on NHK TV. For those of you who want to see more, visit the official website, Twitter or you can order the first 3 episodes on Amazon. Don’t know about you guys, but this is the coolest thing I’ve seen in a long time.